Most people concentrate on selecting the most popular color of the year or matching the rest of the decor when they’re planning to paint the walls. Choosing the right tints is also important when you plan to paint trim, but there are other considerations, too. From color to consistency, these paints are best for baseboards, windows, and doors. While the word “Trim” probably won’t be part of the best trim paint’s title, some interior paints may note they’re suitable for trim, doors and windows on the label. They will always be high gloss, gloss, semi-gloss or satin, never flat or matte. Oil-based paint is the top choice for trim, both because it wears well on high-use areas (like window sills) and because it levels out brush strokes in these noticeable spots. The downside to oil-based paint is that it takes much longer to dry, is harder to clean up and produces fumes. The main advantage of using acrylic paint for trim is its convenience. It dries quickly and cleans up easily without producing fumes. You can also use synthetic brushes when you paint with acrylic paint. Oil-based paints require natural bristles. If you do opt for the ease or lower cost of acrylic-latex paints for your trim, select the flattest sheen possible to minimize brush strokes (but not matte or flat). While white is wildly popular for trim paint, consider whether you really want to spotlight your baseboards or other wooden trim before choosing white. White can imbalance the color scheme in any room and tends to make gray or blue walls look almost baby blue. Red walls can also look harsh, not energetic, with white trim. To get the best color combo, consider painting the trim the same color as the walls, only one shade lighter or darker. This tactic even works with gray or blue walls. Get even more daring by choosing a second, contrasting color for the trim. Neutral walls may look great with a pop of color from the baseboards and window trim, for example. Or take the opposite tack and paint the walls a bright color and choose a more subdued shade or even a neutral for the trim. An energetic shade of green on the dining room walls looks great with gray trim, for example. If you’re careful, you can even include two separate bright colors, like yellow walls with blue windows. Paint for windows must be able to withstand temperature variations and moisture from frost or condensation on the panes. 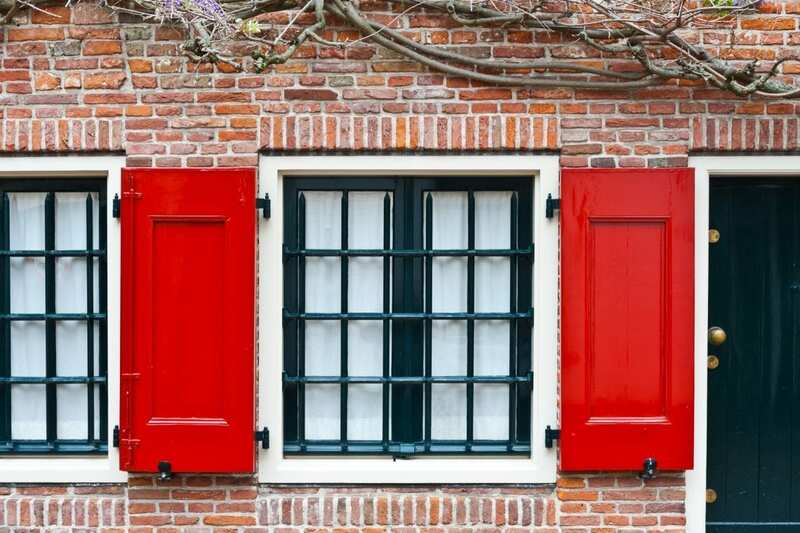 That makes oil-based paint the best for windows, but it creates another problem. Oil-based paint is tougher to dab into the architectural detail of some windows and the drips are more difficult to clean. Window paint also requires more masking tape along the panes and near the hardware to protect them from drips and accidental sanding. On the plus side, a slow-drying paint helps you avoid accidentally painting the window shut.